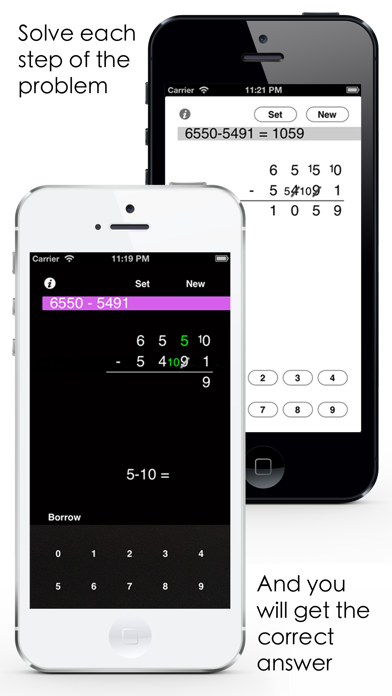 The equal addition subtraction method is also called the ‘borrow and repay’ method or equal additions method for subtraction. 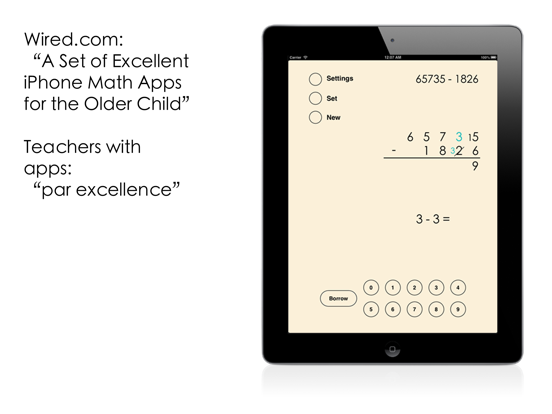 Today the method is used in Australia and Latin America. 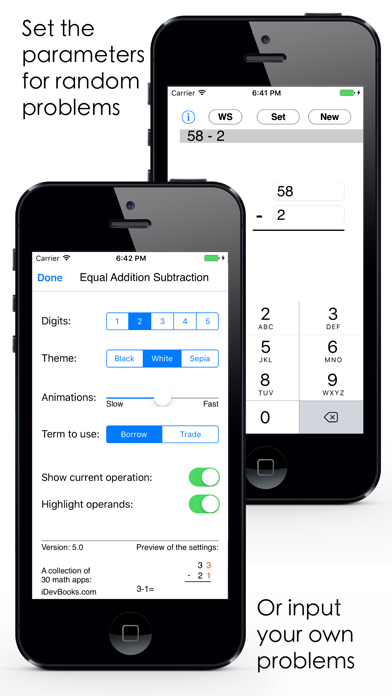 The equal addition used to be a very popular method for subtraction in US until the middle of 20th century. 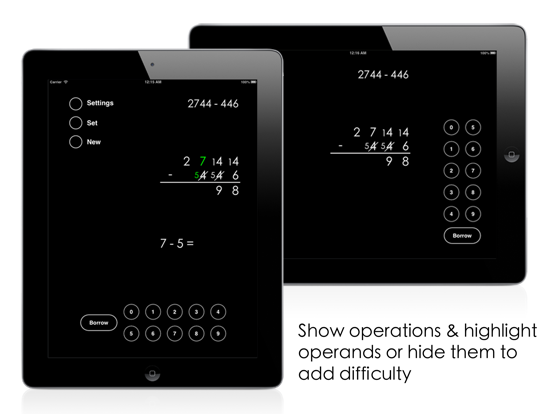 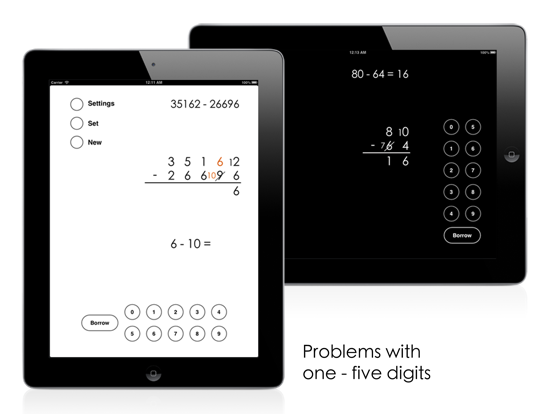 The numbers are aligned automatically so that you can concentrate on solving the operations for each column. After you solve the operation for each column the correct answer will fly to the right place. 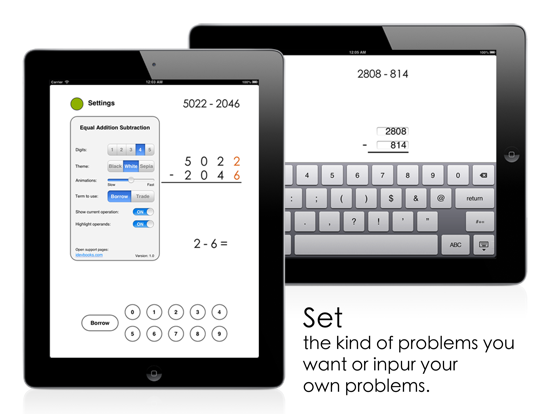 If you tap the wrong button the answer will appear above the keyboard but it will not move. 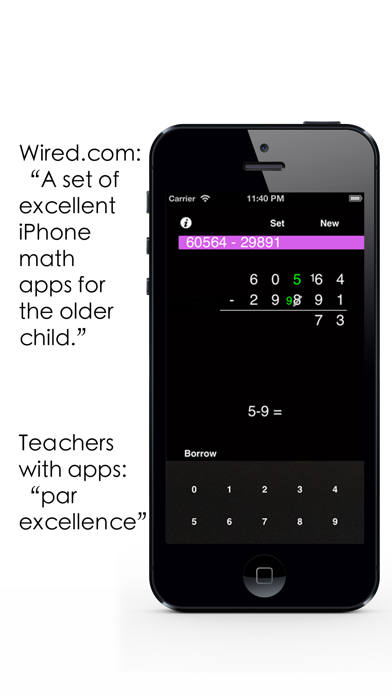 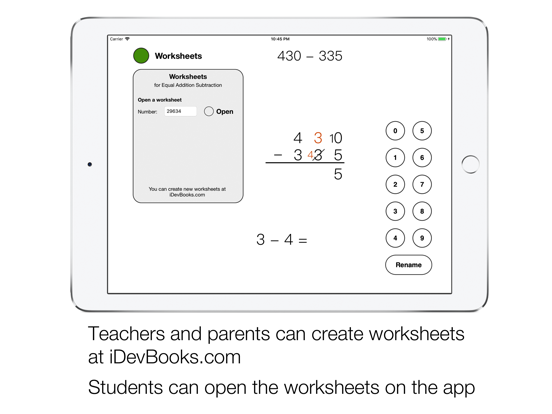 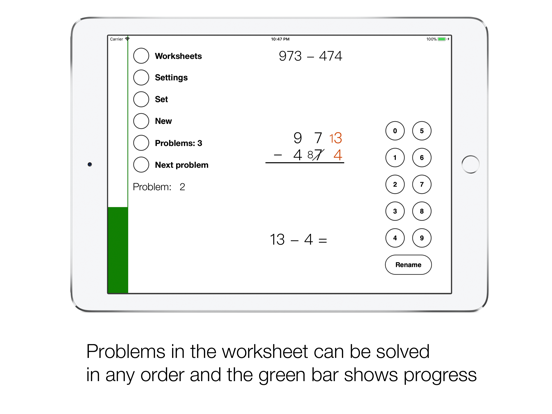 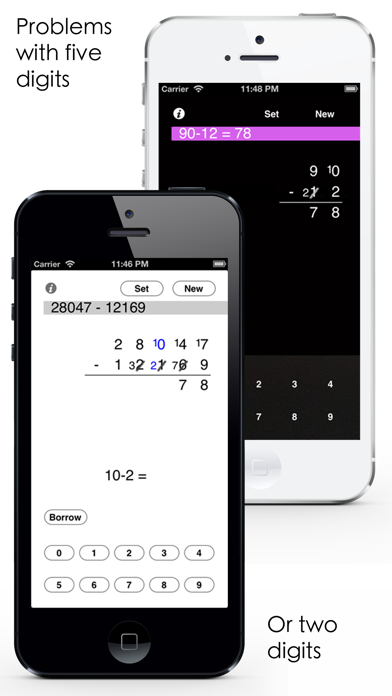 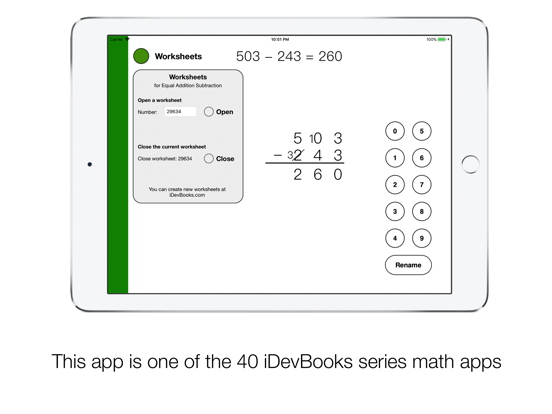 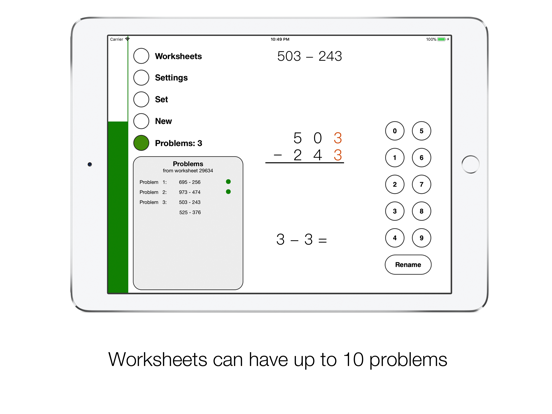 Some of the other 24 iDevBooks math apps are Column Subtraction, Column Addition, Long Division, Lattice Multiplication, Visual Multiplication Table, Fraction Math, Partial Differences Subtraction, Partial Quotients Division, Partial Sums Addition, Decimal Rounding, etc.